Wastewater management is inextricably linked to efficient winery operations and sustainable profit. It is as much a business issue as an environmental or technical matter. Winery wastewater is a valuable resource – and not a waste at all. 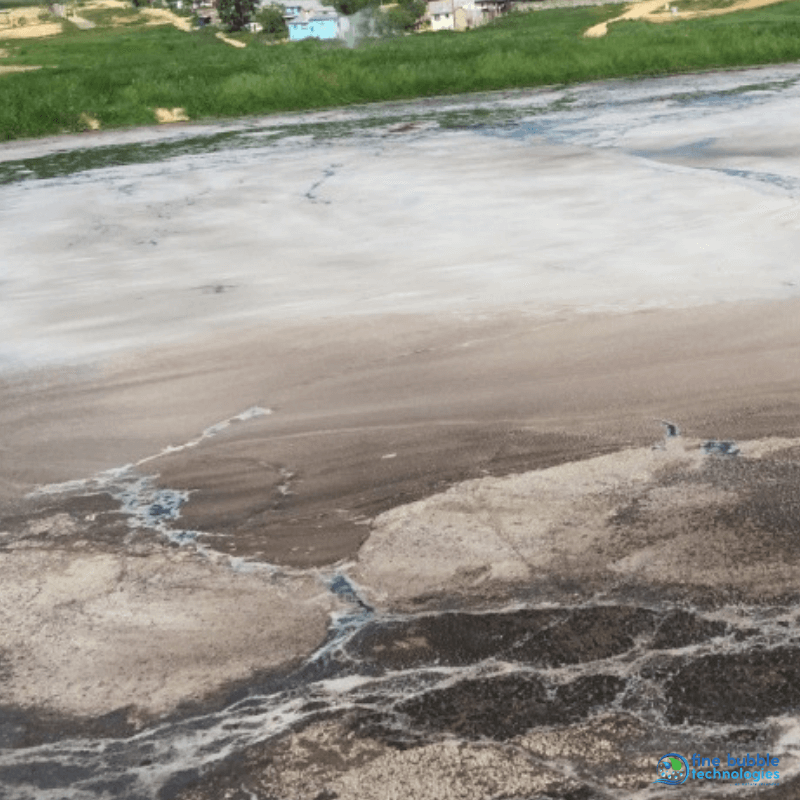 Reclaiming wastes for reuse or sale can lower treatment costs, lower input costs, reduce environmental risks and, in some cases, generate income to offset treatment costs. 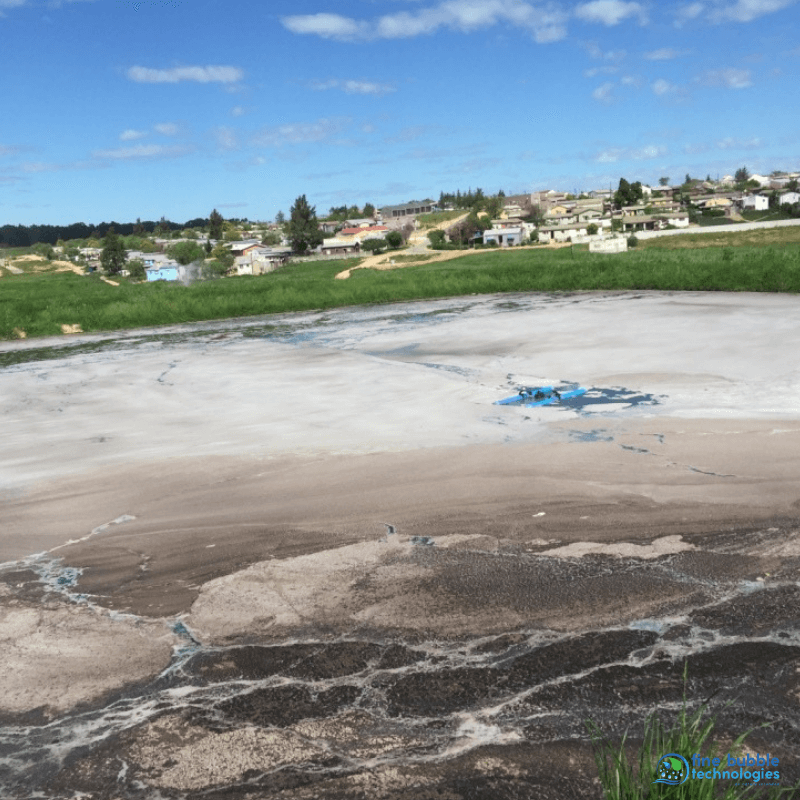 Strong unbearable odors permeate community around the site due to years of dumping post production, untreated solids and liquids into pond. The municipality ordered remediation of the problem within 12 months. In absence of the remediation the owner is risking a shut down of the production facility. All available solutions on the market have been tried for more than 10 years to remedy the problem – without success. 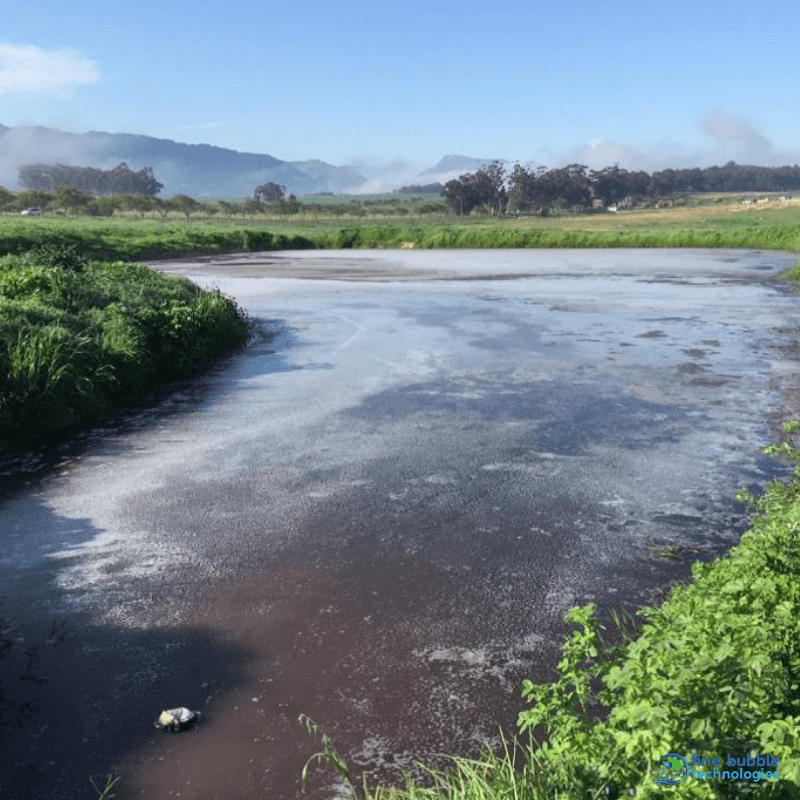 High dissolved oxygen presence in the water is the key for aerobic digestion process and for reduction of COD/BOD in aeration lagoons of the secondary water treatment. 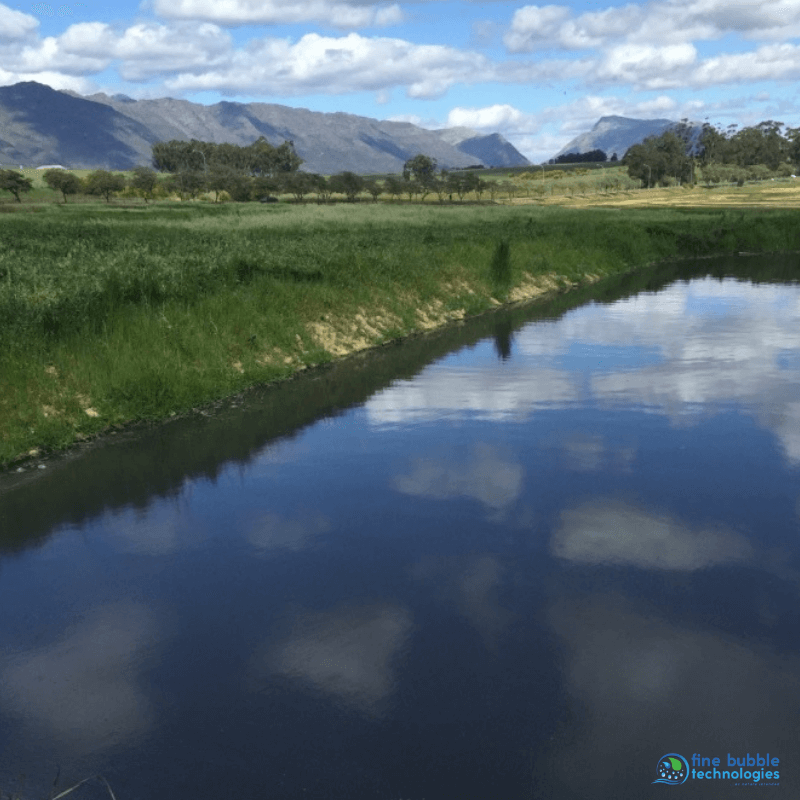 The smaller the pond, the easier it is to become anaerobic. Small ponds have an even greater need for aeration. 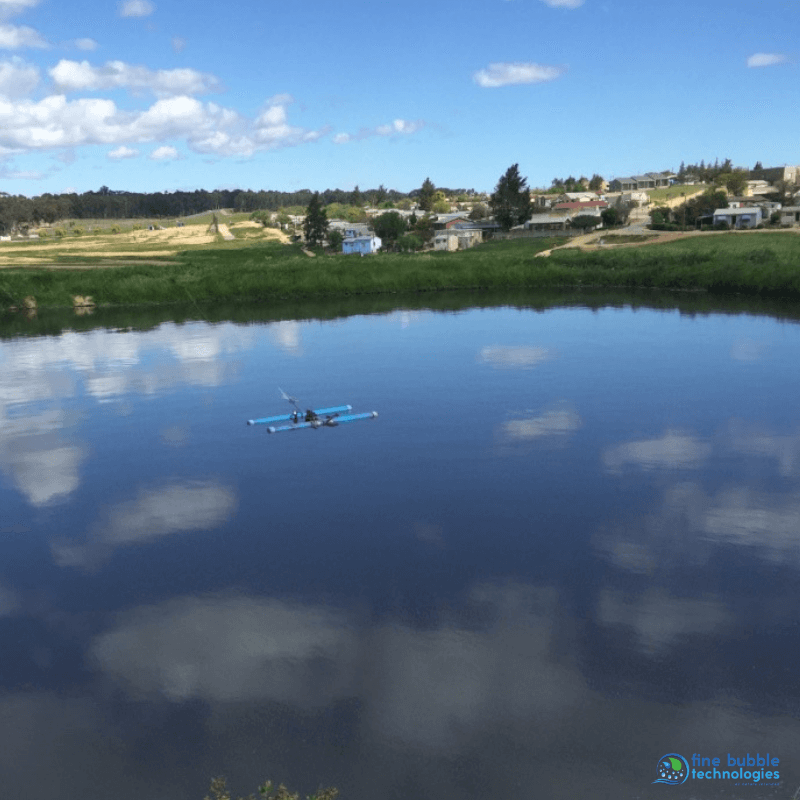 Most of common aerators on the market are inefficient and expensive and cannot distribute dissolve oxygen quickly and evenly throughout the entire pond. 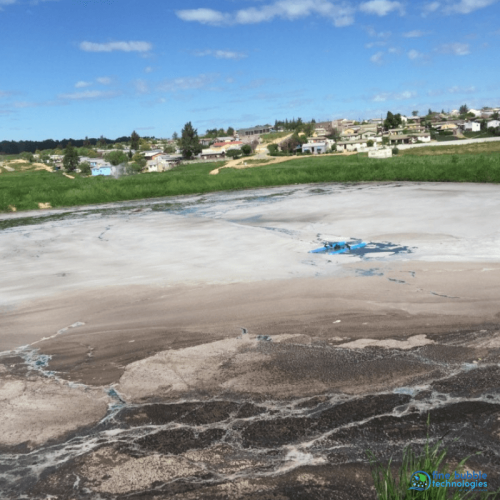 Based in the assessment of the site and water analysis data, our team of experts recommended 120 days treatment of the pond with MK1 Ultra Fine Bubble Generator to the Winery management. On-site treatment: without the need of transporting water to treatment plants avoiding infrastructure construction. Safe to operate: can be maintained onsite for extended periods to deal with continuous waste water generation.